My neighbor recently introduced me to the Rodan+Fields brand, having never heard of it I was a little leery to buy from a company that isn’t sold widely throughout the US, but then I realized I buy from Avon, Mary Kay, and Melaleuca so who am I to judge haha, I started off small with their sunscreen lip balm, and after using this everyday in this hot Hawaiian sun, I will be purchasing more items from Rodan+Fields. The first thing I noticed about this lip balm is it is SPF 25, that’s the highest SPF I have been able to find in a lip balm, I mean my Sun Shades is SPF 15, and my Kiehl’s is SPF 4, (Which to me SPF, whats the point? lol). The next thing is even though it has such a high SPF it doesn’t have that nasty “Sunscreen” taste to it, there is a slight hint, but nothing annoying or disgusting. It also has this amazing citrus scent, but its not over done so it doesn’t cause your lips to get that gluey feel to it, and it also doesn’t make you feel like your 12 years old with a bubble gum lip balm hahaha. Another thing I want to mention is the amount of product you get, for $14 you get 2 lip balms that are filled completely, that was huge for me, I can’t stand when you buy any sort of lip product and they fill it only 1/2 or 3/4 of the way full, in the video I linked below I show it twisted all the way up and that’s after almost 2 full months of use! Finally after doing my research into this company it is the 4th largest Premium Skincare Company in the world, and it was created by a couple of female doctors you may have already heard of, Dr. Katie Rodan and Dr. Kathy Fields, if those two names don’t ring a bell maybe this name will, Proactive…Yes, the creators of Rodan+Fields are also the creators of Proactive, and while I am completely happy just being a customer, there is a business side to this that a lot of people are making an actual living at (the business side of this is not for me, as I need to make sure any and all reviews I do are completely unbiased). Let me know if you have ever tried Rodan+Fields, and get ready for another post next month on there Reverse Skincare Set. 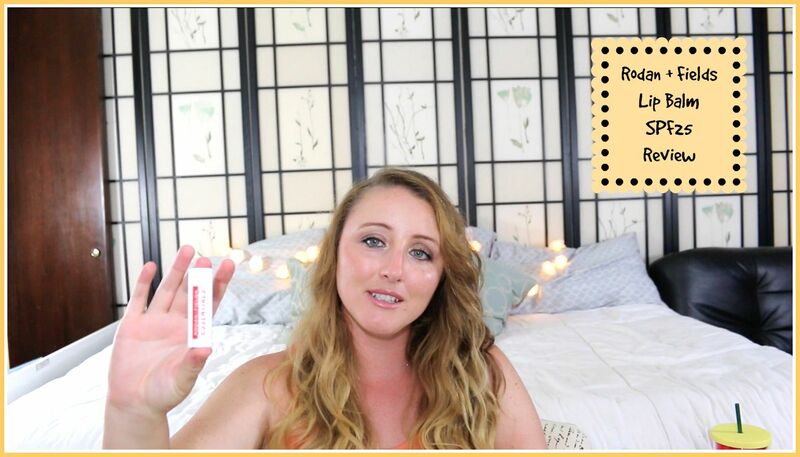 Here is my full review of the Rodan+Fields Lip Balm, and here is today’s Daily Vlog…. *This post is NOT sponsored in any way, all products mentioned were purchased by me.